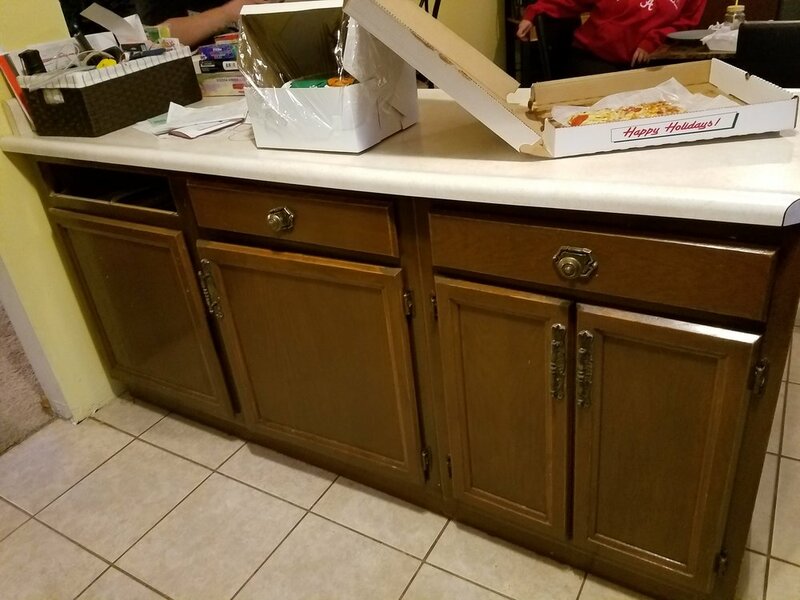 Here a kitchen gets an upgrade from dark cabinets with pulls that resembled something from a dungeon. 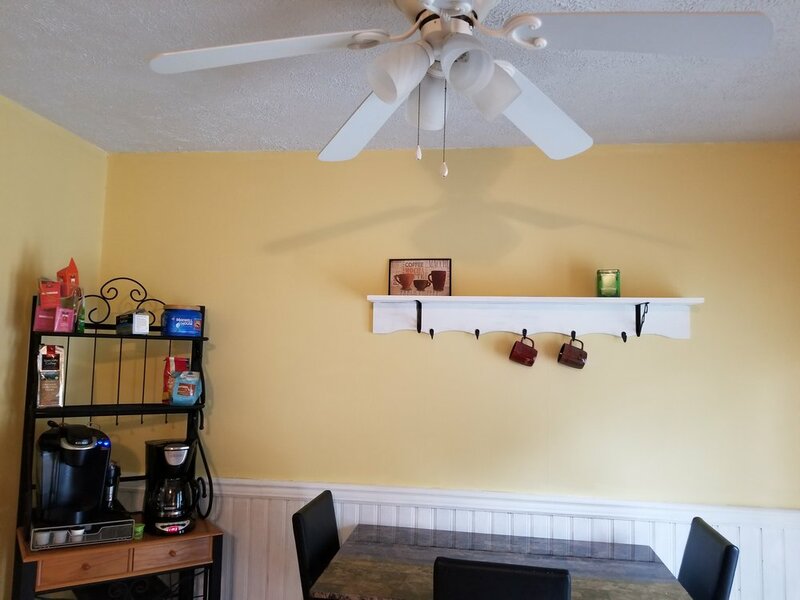 We kept the paint on the walls as the homeowners recently painted this sunny yellow. Let's show you some before pictures. 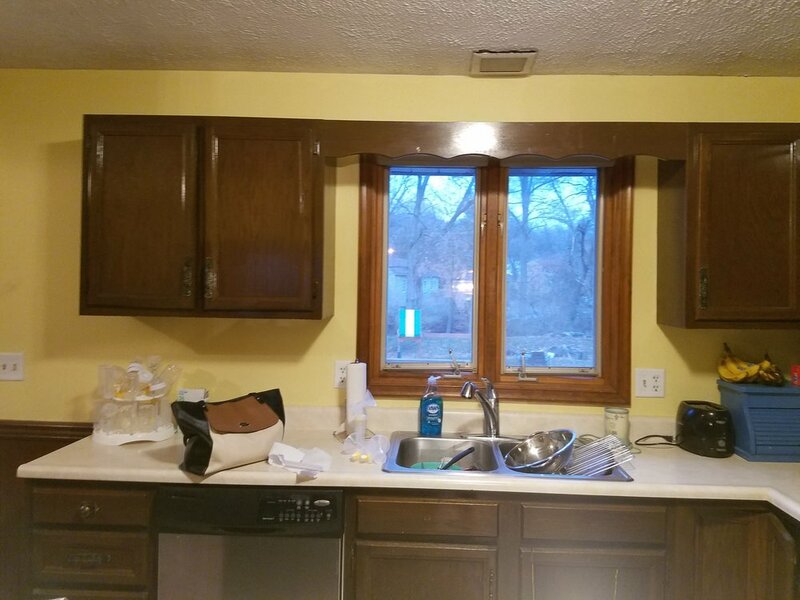 A little paint does magic here on the cabinets and counters. Cotton on the upper cabinets and wainstcotting, Mason Dixon Gray on the bottom cabinets. What a refreshing change. The dated scalloped cornice above the window was removed and a new valance was added. The scalloped cornice previously over the window above the sink has a second life as a shelf with hooks. Much better, don't you think? 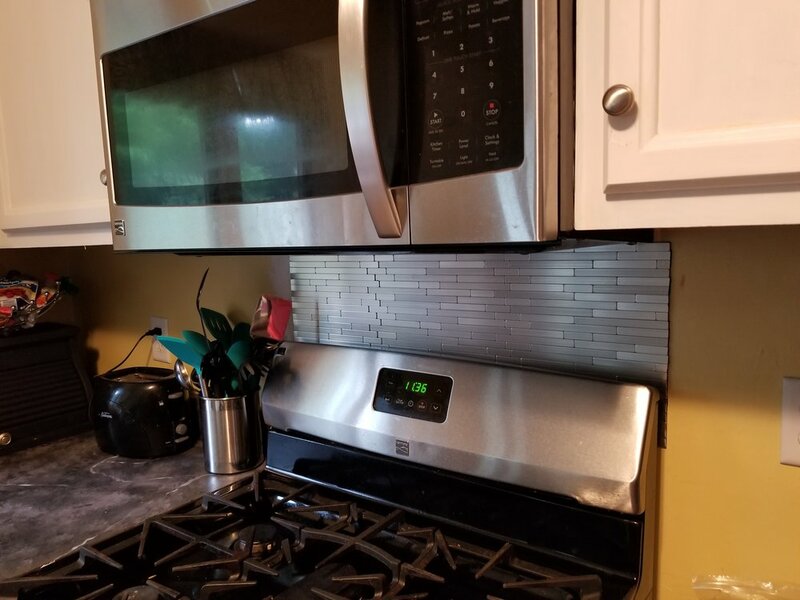 Left to right: Peel and stick backsplash tile from the Home Depot corrected a bumpy area on the wall from the removal of the previous microwave and hood. Even the breadbox gets a facelift. 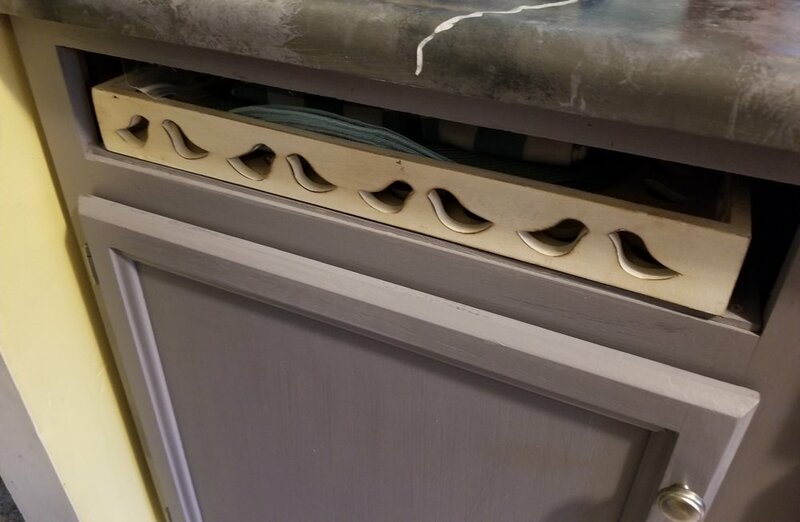 A missing drawer gets a false bottom, then a Pier1 tray fits nicely in the opening, ready for entertaining. 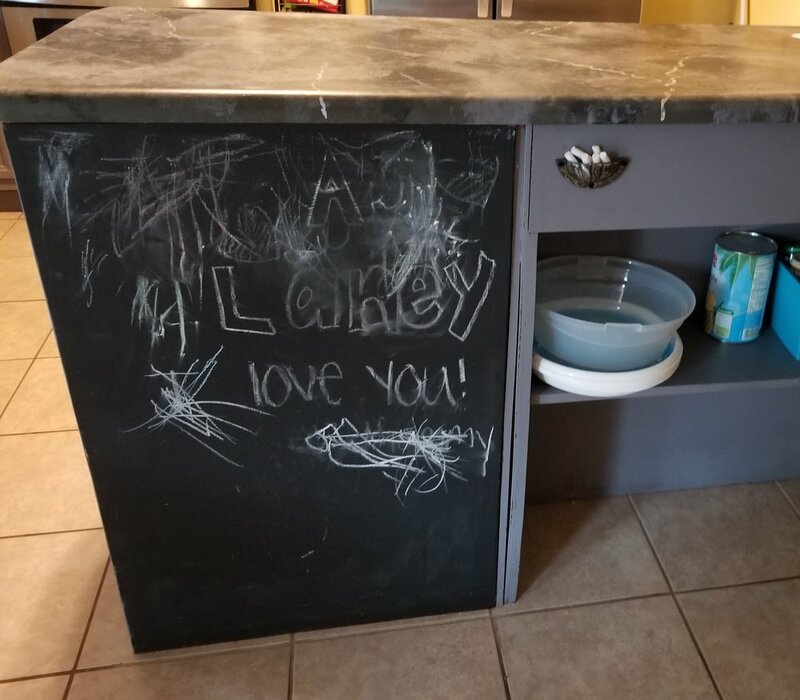 The back section of cabinets on the island gets a shelf for functionality and a chalkboard created from Dixie Belle's Caviar. Details make the difference. A cup holder turned upside down is a perfectly handy receptacle for small hands to reach the chalk. 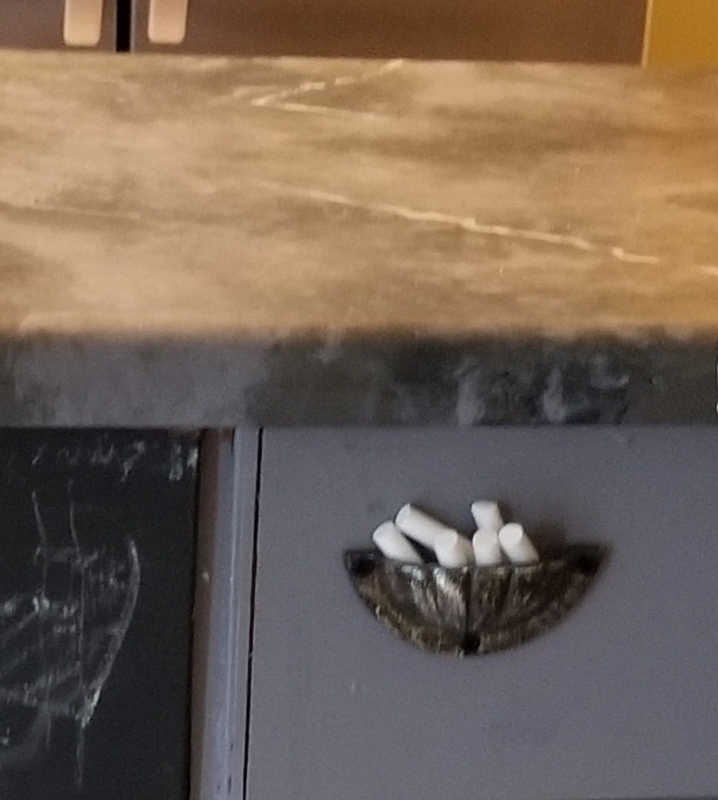 Countertops go faux marble with Dixie Belle paint. Do it yourself or call LaVonne at 8149348928. Posted on July 31, 2018 by LaVonne Falbo.